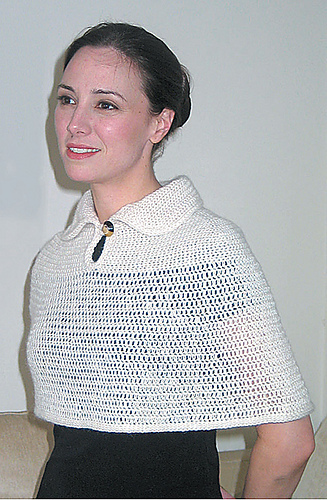 Stay warm on cool summer evenings, or curled up on the couch, in this light weight cape with a convertible collar. 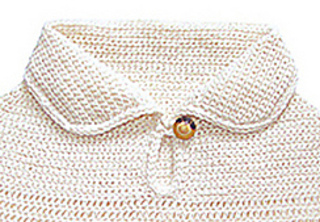 Created with two basic crochet stitches, single crochet and double crochet, and worked in one piece from the neck down; the collar is added later. The shoulder section and collar are worked back and forth in single crochet and the body of the cape is worked in rounds in double crochet. 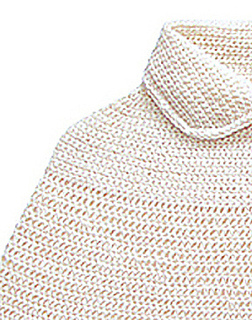 The ‘rolled’ edge is worked in slip stitch. A stitch guide is included with pattern.